Hello bloggers! Tokyo life is amazing! If only the weather could get a bit warm. Though from what I heard back home (Nova scotia) it's a lot warmer here. So I guess I'll take it. Since its got a bit chilly I need a jacket. 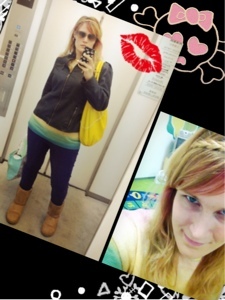 Here is today's style.